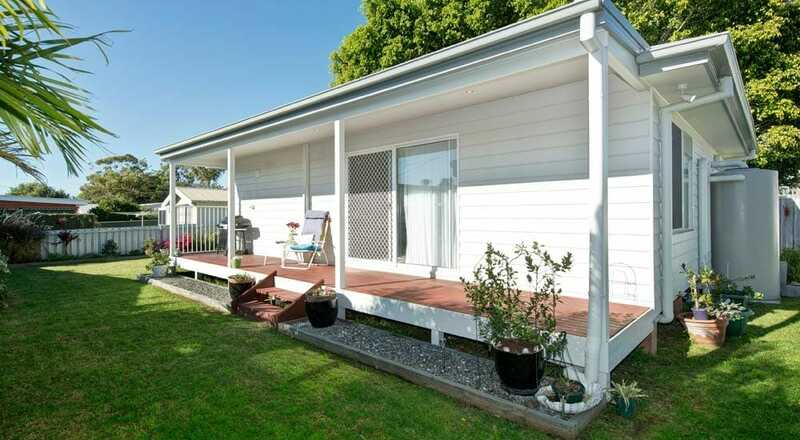 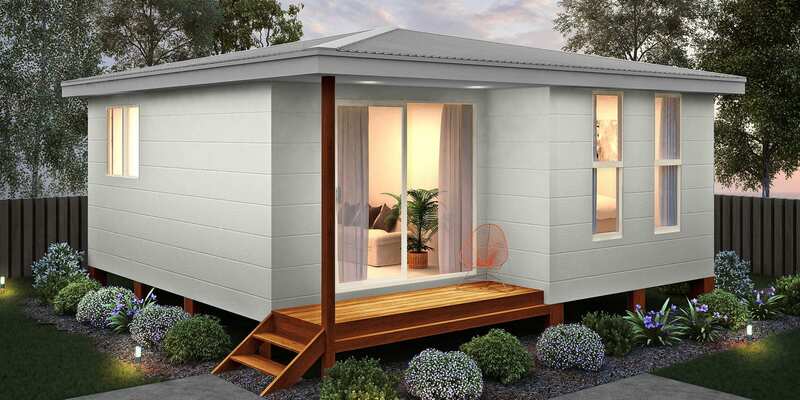 The Myall is in our designer range and creates a relaxed, beach feel for this granny flat. 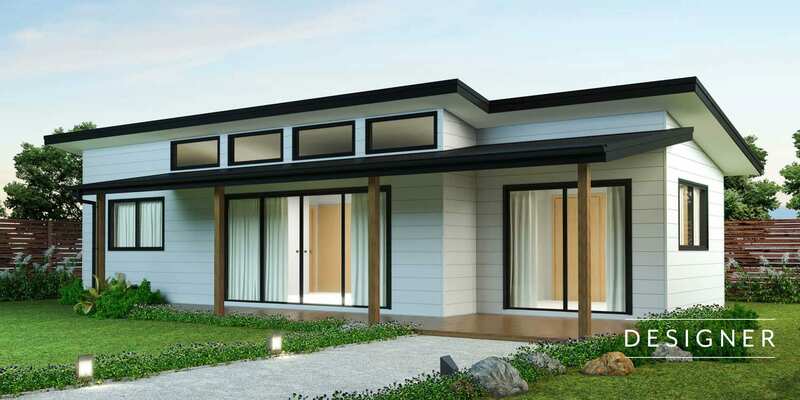 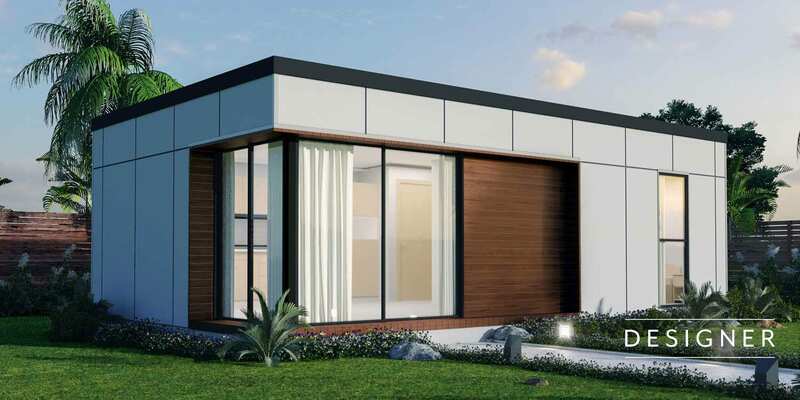 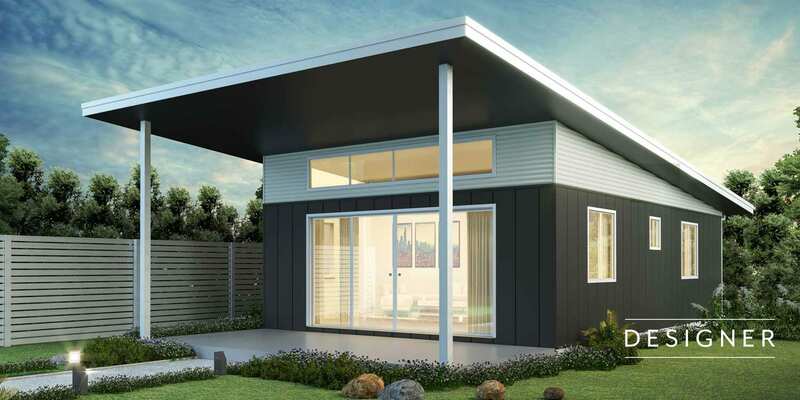 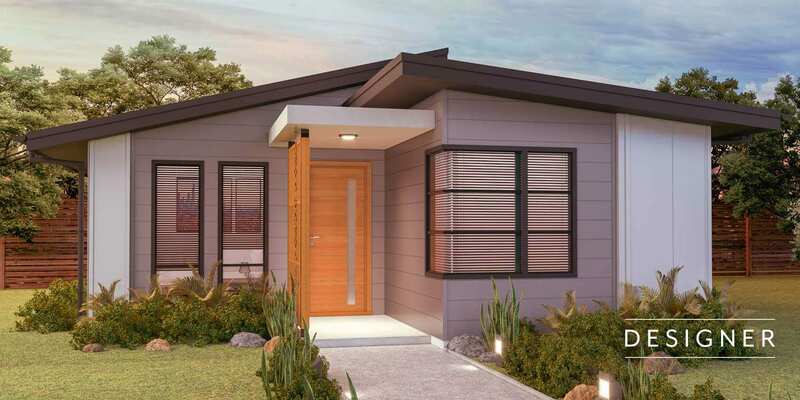 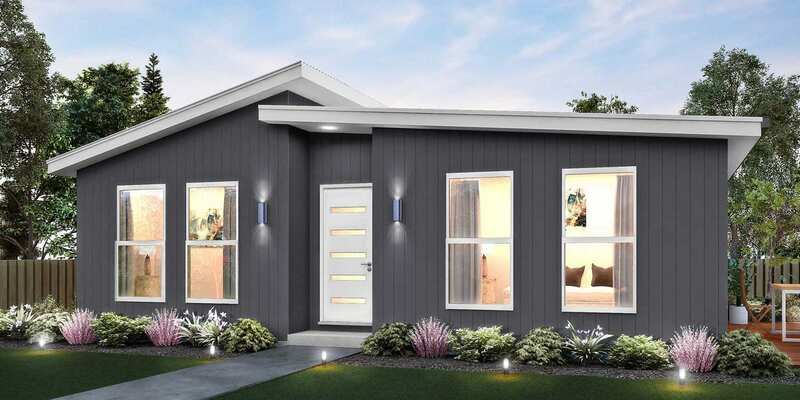 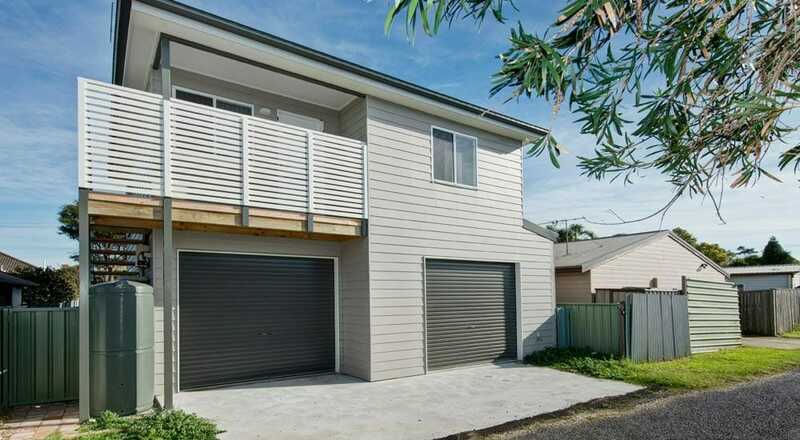 This dual skillion roof designed granny flat contains 2 bedrooms with built in wardrobes, a generous sized bathroom and an internal laundry with a linen closet. 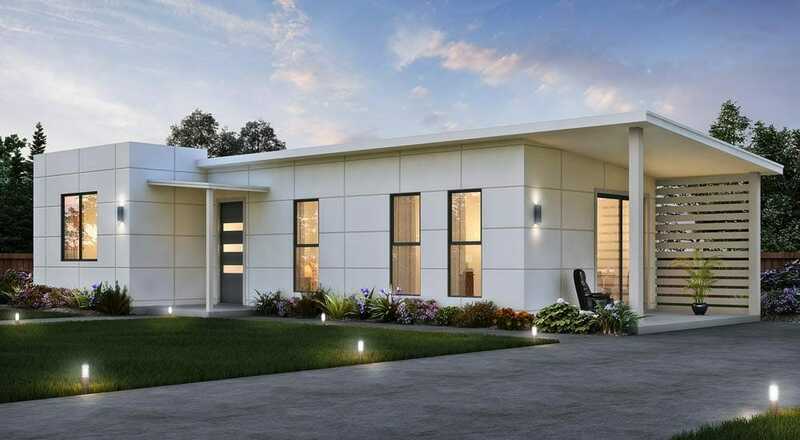 The contemporary kitchen is open plan with a breakfast bar and looks over to the living room and stunning sash windows. 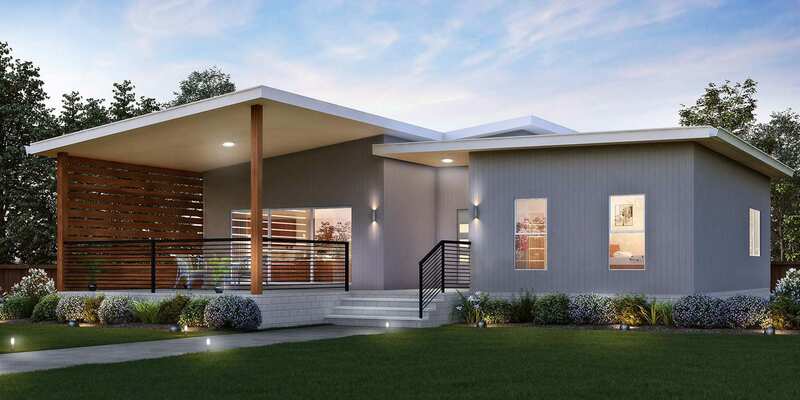 This design features indoor/outdoor living with ease with the inclusion of the stunning porch creates a seamless entry/exit to the living area when entertaining.